New music…and plenty of it…this week on Blue Moon Americana. 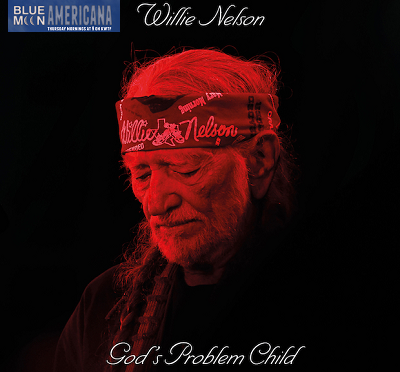 Tune in on a warm spring morning for tracks from the new album “God’s Problem Child” from Willie Nelson, “Life Love Flesh Blood” from Imelda May, including new tracks from Gurf Morlix, Rayna Gellert, and The Gibbonses. Our morning throwback sounds will include memorable tracks from Levon, Robbie, and The Band, The Handsome Family, and a little bit of buried country swing featuring Hardrock Gunter.